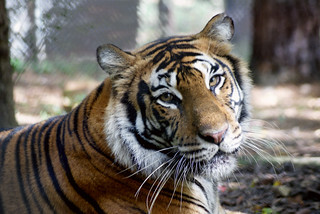 Jericho is a favorite among many Carolina Tiger Rescue volunteers and tour guests alike. His dark fur, handsome face, and loud purr endear him to all. Jericho loves visitors and frequently comes up to the fence to say hello, especially if there is a treat in it for him. 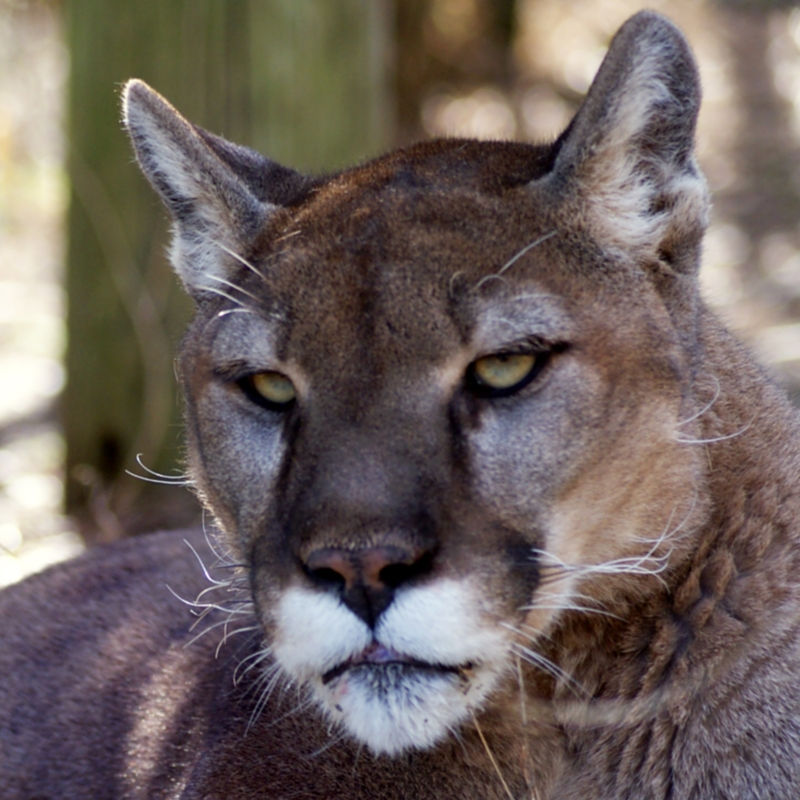 Jericho enjoys different types of food, including fresh octopus and sardines, and he enjoys rolling around in new smells like catnip and cinnamon. 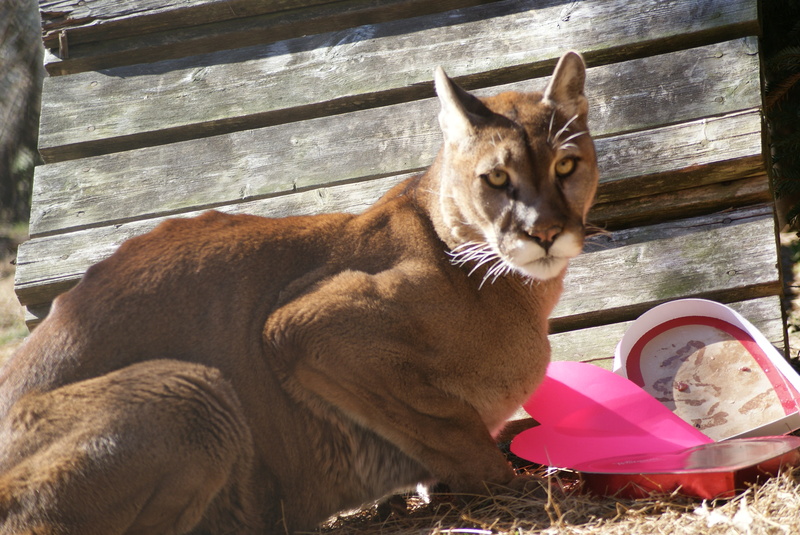 Jericho came to Carolina Tiger Rescue with Nakobi Cougar, Roscoe and Camilla Tigers, and Roman and Reina Lions from Rescue One in Ohio. 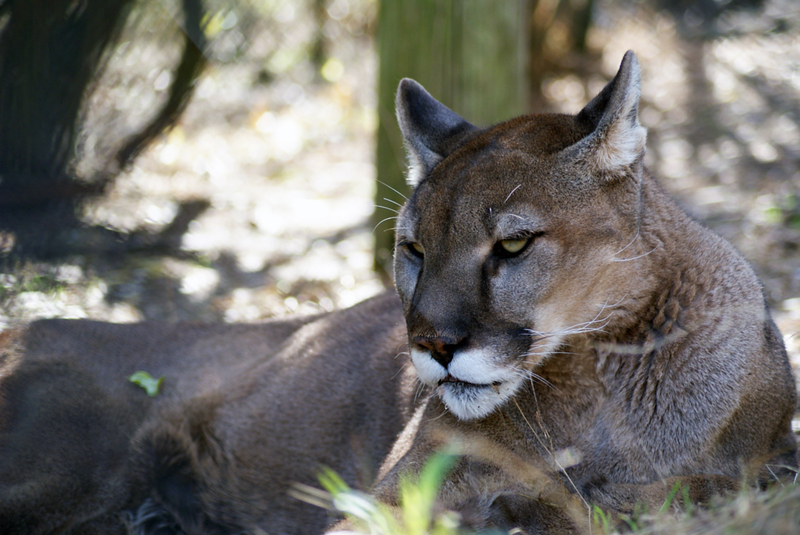 Rescue One decided to close its doors because they could not keep up with the changing laws regarding wild animal ownership in Ohio. 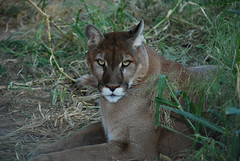 They were also in financial trouble and could no longer afford to keep the animals. 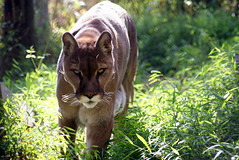 It is not known where Jericho was before going to Rescue One. 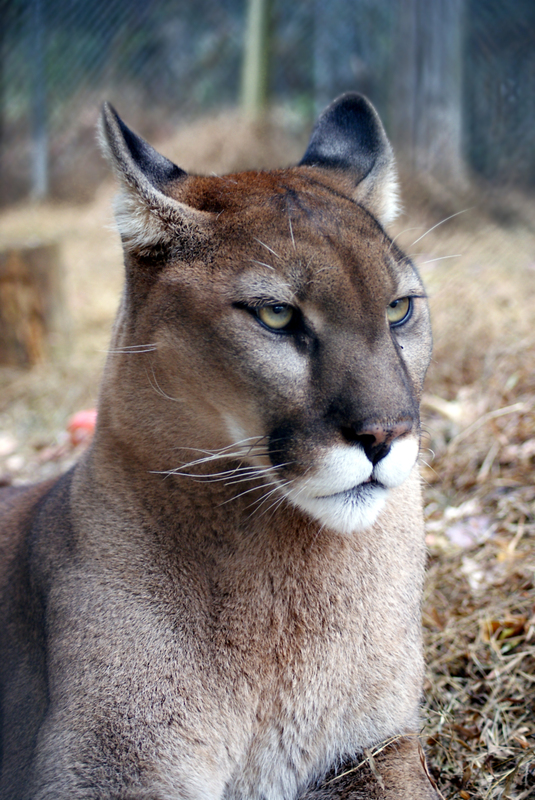 Jericho is very stoic and much less talkative than the other two cougars. 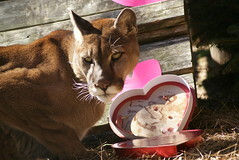 He will sometimes surprise us and give a good loud purr to visitors. 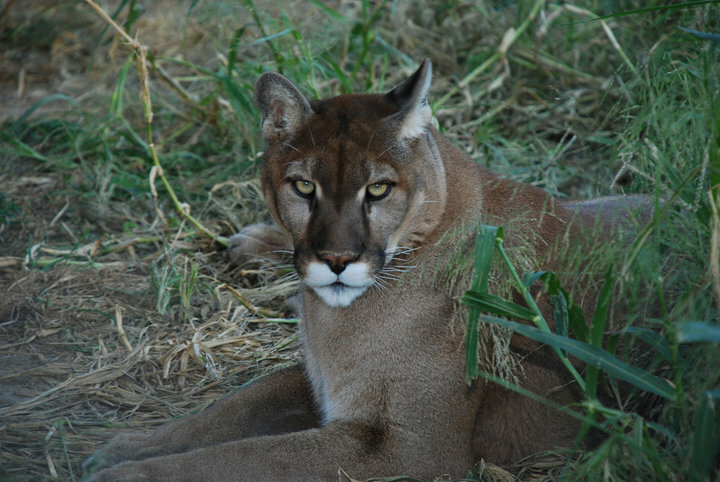 Jericho can often be found lounging in his den box, surveying his surroundings and waiting for someone to bring him his meal or a treat. 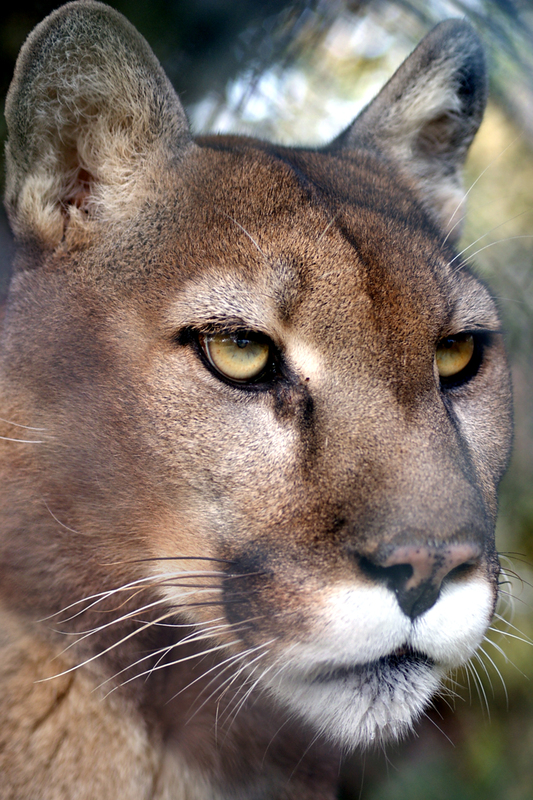 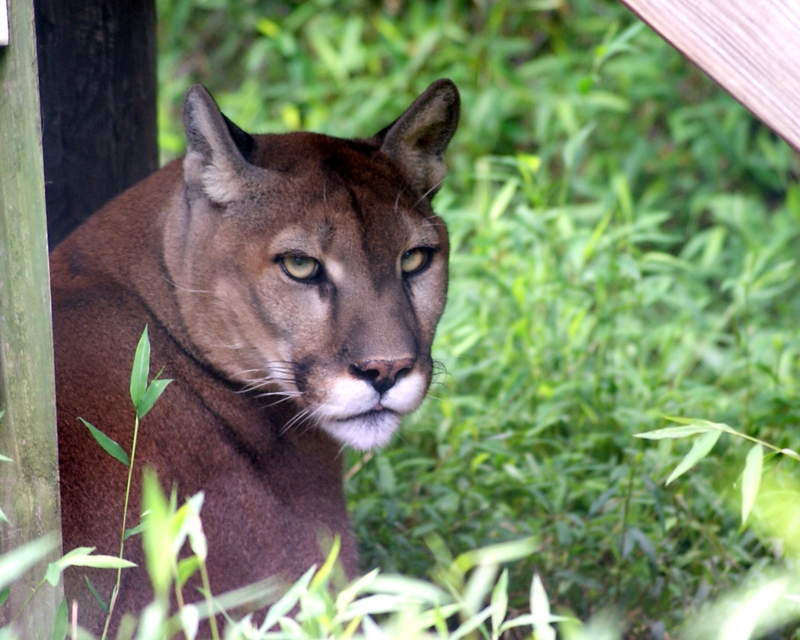 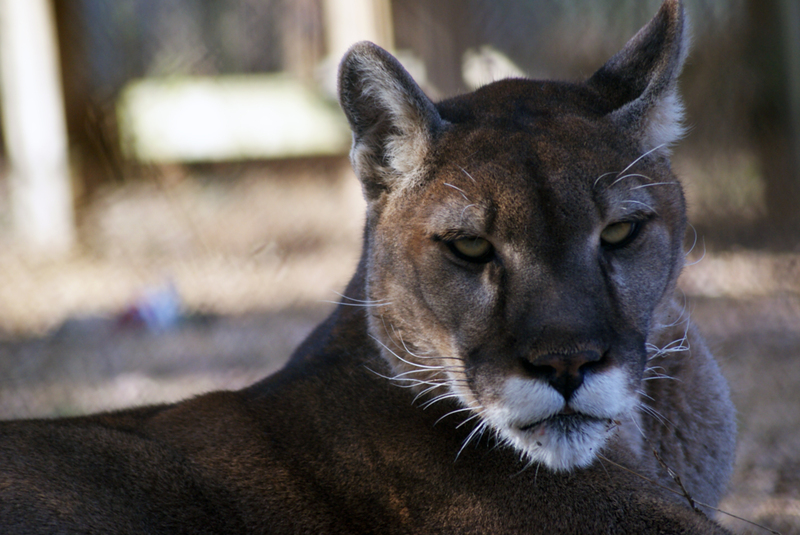 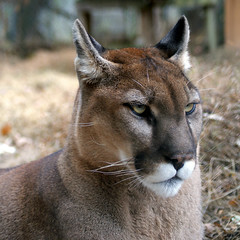 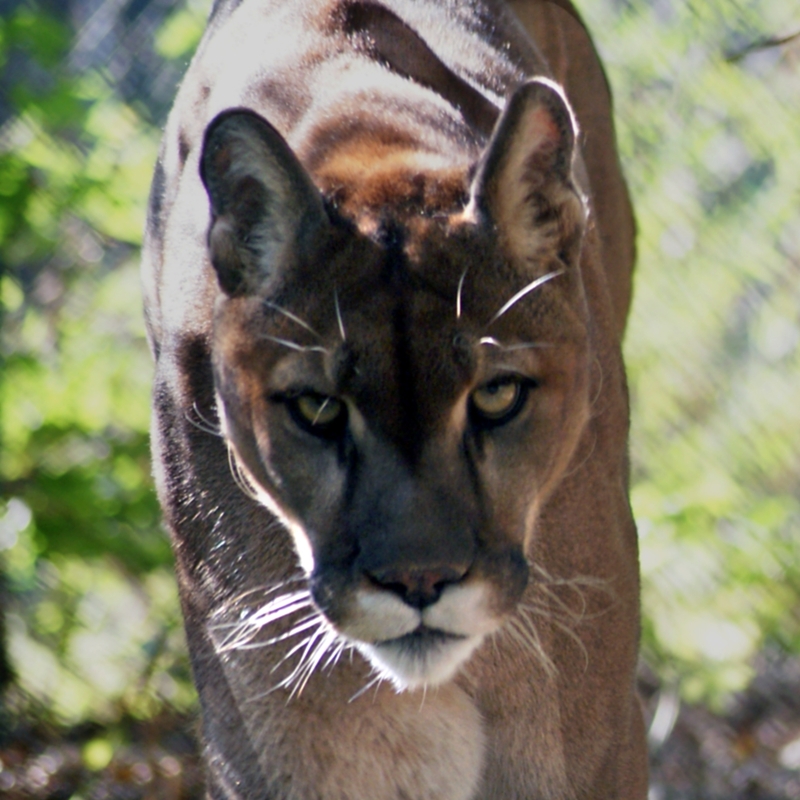 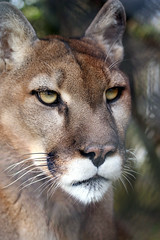 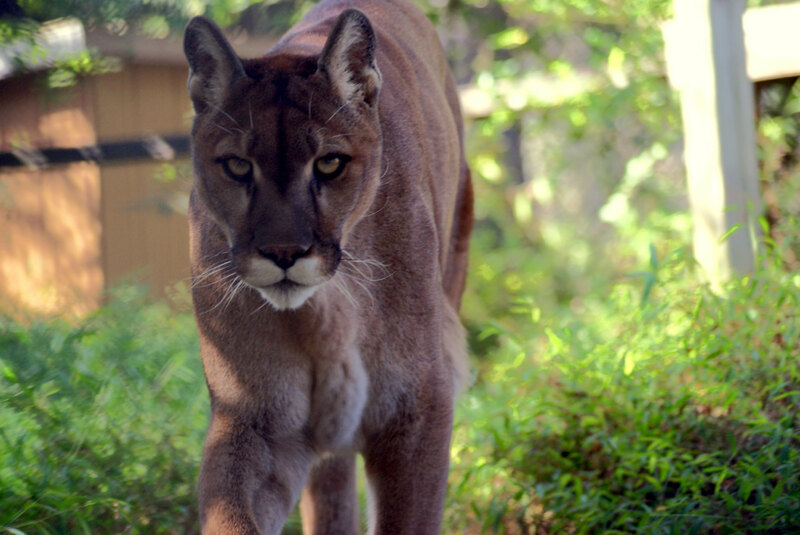 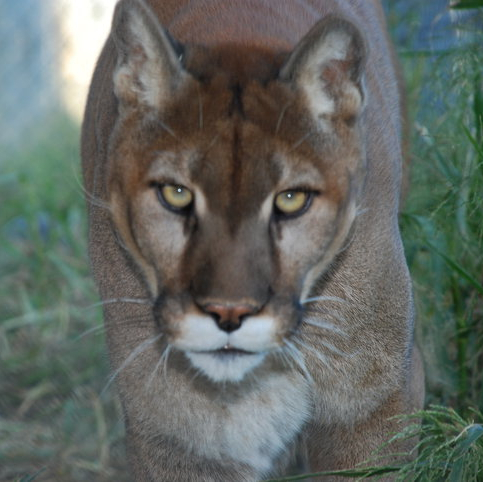 Jericho is the oldest of the cougars and much more reserved than the other two. 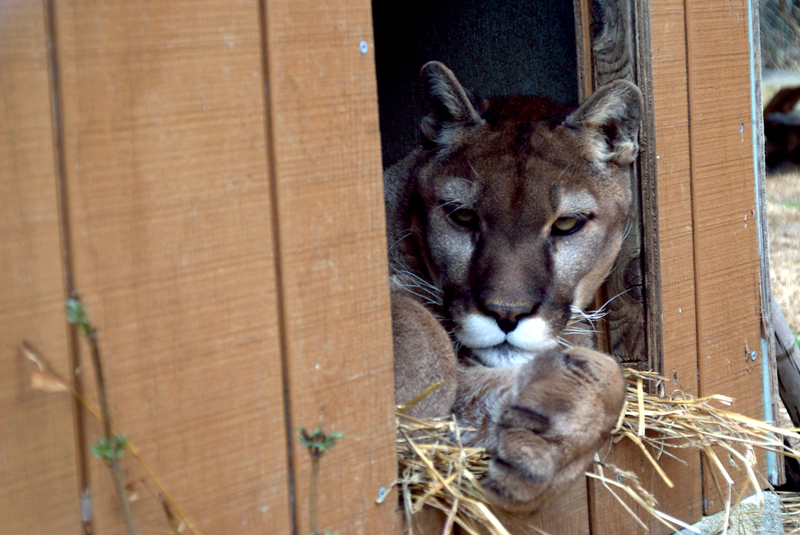 He prefers to sit in the back of his enclosure and watch the world around him. He does, however, get very excited when a food truck passes by him. Jericho, like cougars in the wild, is very agile and has little problem jumping on top of his platforms to retrieve food. Jericho is located in Pear Orchard, next to Simon Serval. 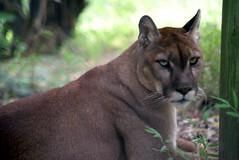 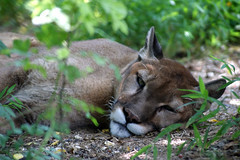 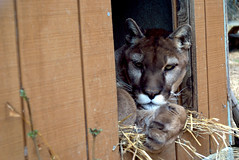 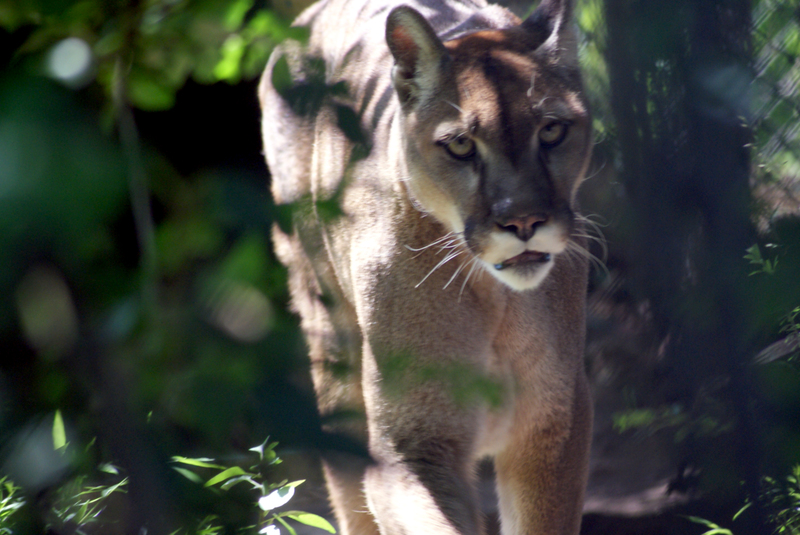 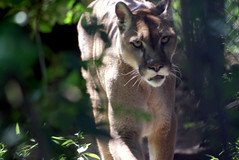 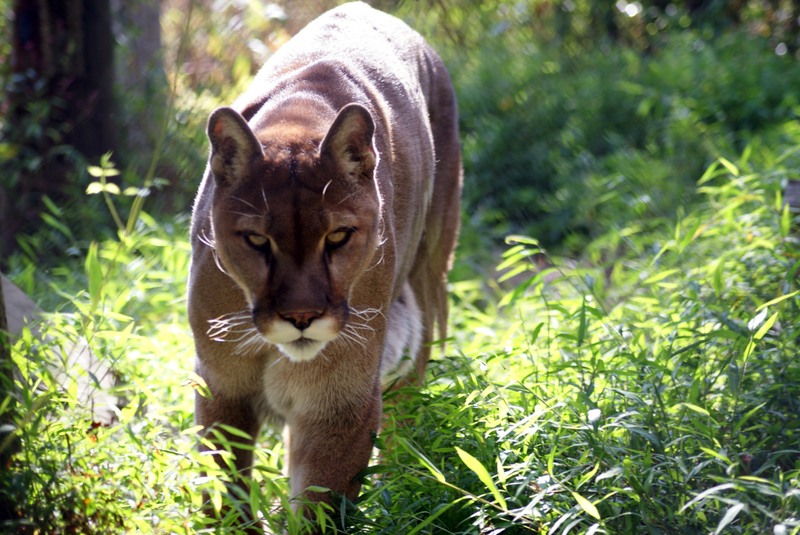 Jericho Cougar was declawed before arriving at a sanctuary. 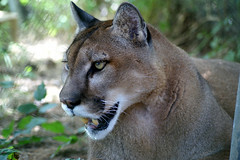 When a cat is declawed, the tips of their toes are removed.  The toes are the part of the foot that the cat actually walks on, so removing the tip of their toes causes them to walk on their heels and ankles. In cats as large as Jericho, this displaced weight wears heavily on joints that are forced to carry the cat's weight in a very different manner. 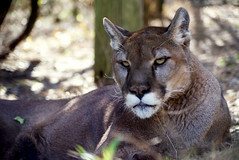 Jericho now suffers from arthritis, likely due to his declawing and his advanced age. In the United States it is now illegal to declaw wild cats and a veterinarian can lose their license if they are found declawing wild cats.